Oscar-nominated teen heartthrob Timothée Chalamet (@tchalamet) stars on the cover of our Superstar issue! Hit the link down below to read his interview with award-winning musician Harry Styles (@harrystyles), where they discuss Timothée’s new film Beautiful Boy – plus how they navigate fame, social media and modern masculinity in 2018. Gucci Cruise 19 earrings stylist’s studio. 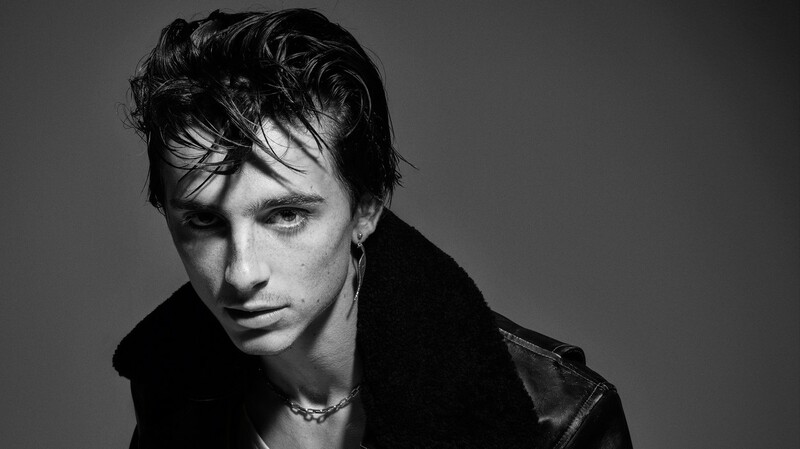 For the cover and editorial, Timothée wears all clothing and necklace @gucci Cruise 19 for the cover, but also he’s using Saint Laurent by Anthony Vaccarello. All clothing Saint Laurent by Anthony Vaccarello spring/summer 19. Shirt Saint Laurent by Anthony Vaccarello spring/summer 19. Coat and shirt Alexander McQueen. Jeans Saint Laurent by Anthony Vaccarello spring/summer 19. Boots (worn throughout) Louis Vuitton spring/summer 19. “Can you still eat peaches?” asks Harry Styles in perhaps the most ‘we were all thinking it’ moment of the entire interview. And the answer? “Um, I can, but not without thinking about it.” After which Harry muses that he’s “had a hard time…” Same. Vest Alexander McQueen spring/summer 19. Vest Alexander McQueen spring/summer 19. Earring on right ear (worn throughout) stylist’s studio. Waistcoat and vest Givenchy spring/summer 19. All clothing Saint Laurent by Anthony Vaccarello spring/summer 19. Bracelet (worn throughout) model’s own. When Timothée Chalamet shot onto our screens in Call Me by Your Name in 2017, the world fell hard and fast in love with his delicate face and foppish hair. Despite his beauty, it was Timothée’s skill and power in the role of trilingual, precocious, Elio, that was most revelatory. It was a role that deservedly earned him the youngest Best Actor Oscar nomination in 80 years, and his star has been on an upward trajectory since. Coat and shirt Raf Simons spring/summer 19. Jeans Saint Laurent by Anthony Vaccarello. This article originally appeared on i-D UK @i-d.